Home / Militaria, collectibles, insignia, buttons etc. / M/1922 Sword, Finnish army, Officer model. Issued. This specimen has minor marks of wear, the blade is in very fine condition, there is some marks of Prise de Fer ( ceremonial meeting of blades ), there is some minor wear on the scabbard. 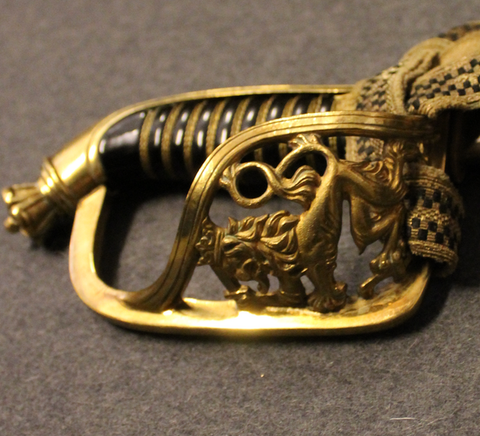 This indicated this sword has been in some service / ceremonial use, but it has treated well and handled with care. Pxrtopé is slightly tarnished, the belt count is very nice. The sword is manufactured by Carl Eickhorn, Solingen. With portopé and leather mount for sam browne.